Dogs and cats live longer when they are thin and fit: image via news92fm.comDogs and cats don't make New Year's resolutions (typically), but if they did, they probably would not vow to drop a few pounds this year. More than 50 percent of them are reportedly overweight, however, and it's our responsibility as pet owners to help them reach healthy weight goals. But for many of us, denying food to our cats and dogs can be harder than achieving and keeping our own weight loss goals. Well, sure. Your dog puts on his absolutely most adorable look - the one that should be on the cover of every issue of 'Cute' magazine. And your kitty winds around your legs giving you starvation whines, though he finished his evening meal about an hour ago. Take your cat and dog off the junk food they're eating and put them on a diet of high protein, low carbohydrate food. Protein, preferably a whole protein and not a 'meal' should be the first ingredient in the food. For example, if the food is chicken based, 'chicken' should be the first ingredient, not 'chicken meal.' My own preference is for a grain free diet, that includes vegetables as a source of carbohydrates - not rice or other grain. If your cat weighs 15 pounds and should weigh 12 pounds, feed her according to the amount of food she needs to maintain 12 pounds. Gradually reduce her food portions over a 2 week period so she slowly accommodate to the new amount. This is not as hard as it sounds, if your pet is used to getting scraps from the table. Just remove her from the room when you are cooking or eating. Remove all foods from your counter tops. Pets on a diet should not eat between meals at all. BUT dogs are usually rewarded for good behavior with special treats. I have tried as much as possible to substitute enthusiastic praise and petting for food treats, but (he's a terrier) sometimes I just have to use them. So I substitute a piece of carrot or apple for his 'cookie.' Another treat I will give him is a piece of his kibble - which he loves. For my cat, I'll try to use catnip to encourage him to play instead of eat. If he's really stubborn and terribly whiny, I'll give him a piece or two of boiled chicken or any non-seasoned beef or pork we have leftover. Just a taste. Play fetch. Take him to the dog park. Get her involved in agility training. Swimming is great for older or infirm dogs; there are indoor therapy pools available for hourly rental. 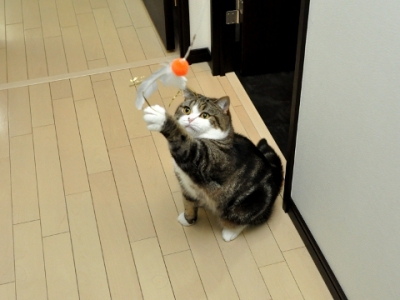 Fat cats must be inspired to play, if they are kept indoors. Boredom is a diet's worst enemy. Schedule play times and employ catnip and new toys to keep your cats interested. You don't have to buy toys; you can make little balls out of foil or wax paper that crackles and tie them to strings. My readers may have guessed that my cat's favorite toy is Da Bird. It's the only one he has not tired of in eight years. He also like to chase bubbles, as in blowing bubbles. Remember that your dog or cat's extra pounds can be even more unhealthy than your own. 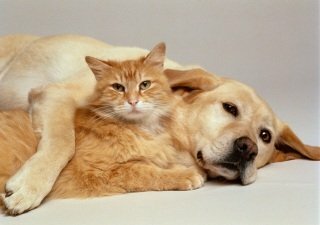 A few extra pounds on a dog or cat might equate to 20 or 30 extra pounds on you. 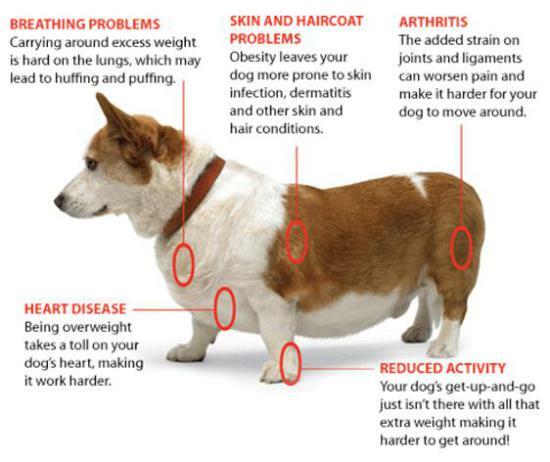 Diabetes, heart disease, kidney failure, arthritis and cancer are just some of the resulting diseases of extra pounds on your pets.